Hello lovelies! 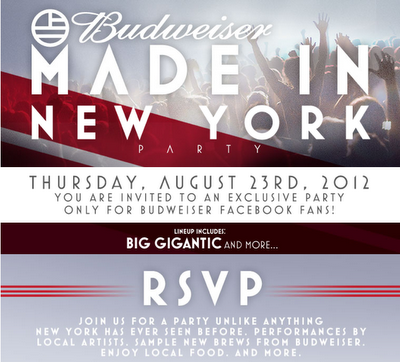 I’m dropping in to quickly tell you about tomorrow’s Budweiser party at Roseland Ballroom. In the wise words of Benjamin Franklin, “Beer is proof that God loves us and wants us to be happy,” so grab a bud and head over to Roseland tomorrow at 8 p.m. All you have to do is register through Facebook, here. Hope to see you there! Many apologies for the lack of posting lately – I have been a busy bee! Here is a quick overview of some awkward and awesome happenings from the past week. It turns out that it’s easier to blog about food than fashion when you’re busy. You have to eat to live, but do you have to shop to live? Most would argue no. As a result, I have been updating my food blog a lot more than this one. Check out Feel Good Foodies. But be warned, side effects include sudden mouthwatering, hunger and the urge to cook. I tried to attend a blogger event (which I will not name, because it probably was an awesome event), but I was so frustrated with the crowd that I just left and got a glass of wine with my friend. Hello cranky pants Christina! 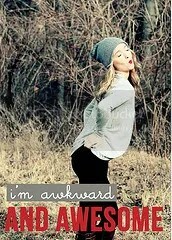 So not like me – awkward. 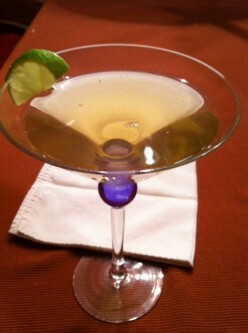 On Tuesday, I blogged my colleague’s entry in the Mionetto Mixology Masters Challenge. His concoction sounds so delicious, and I fully intend to serve it this weekend with a nice home-made brunch. I thought I would share with you classy readers, as you might want to do the same! Click through the post to vote on the WhiteTea Bulger, and be entered to win a trip to Vegas! Voting ends TONIGHT. It’s Sephora sale time! 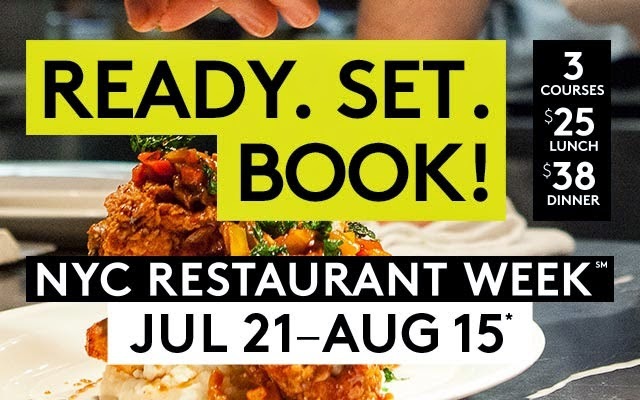 Enter CHICWEEK at checkout to get 15% off. Don’t forget to go to the website through EBATES, in order to get 4% cash back. 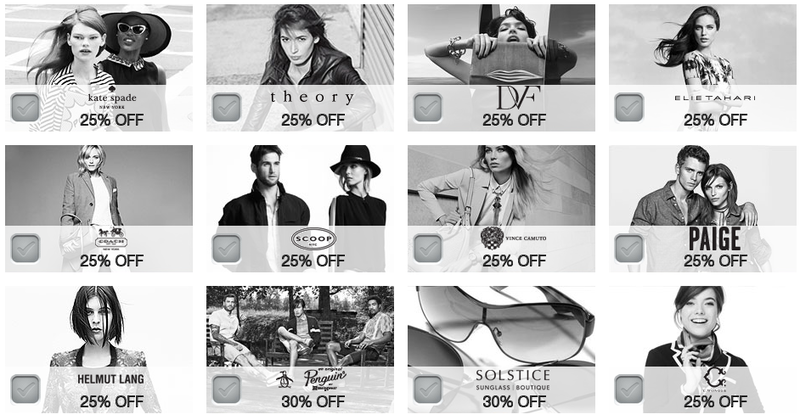 That’s a combined 19% savings – not too shabby! 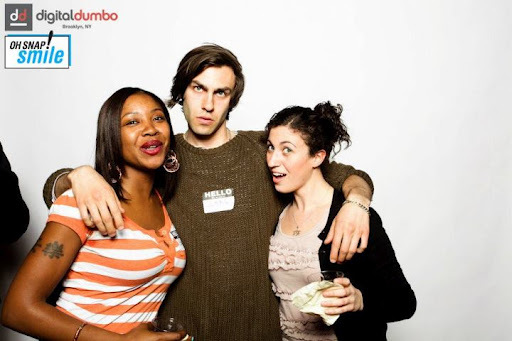 Last night I attended Digital DUMBO’s monthly happy hour. I love these events! I’m not sure why I ever stopped going, but they’ve worked their way back onto my calendar now. I’ll be sure to share future happy hours in advance so you can join me! Here is a photo of myself with my friend Tiffani and the lovely camera man from the event – silly faces only (awkward). All photos are posted on the Digital DUMBO Facebook page, including some very weird, embarrassing ones of yours truly. A colleague of mine recently entered the Mionetto Mixology Masters Challengein hopes of winning a VIP trip to Vegas Uncork’d by Bon Appétit, a Private VIP Tour at the Mionetto Winery in Italy, and most importantly, bragging rights. Sounds pretty sweet right? Well you could winthat trip to Vegas Uncork’d too, just by voting. And what better beverage to vote for than the WhiteTea Bulger: a combination of sweetened white tea, Jameson Irish whiskey (my fav!) and prosecco? Go vote for the WhiteTea Bulger, and pass it on to anyone you know who likes a good drink. Try the recipe out this weekend! The ingredients are simple and easy to find. No funky purees, beverage “flakes” (what is that?! ), or rare liqueurs. The white tea and Jameson are actually already in my kitchen. The procedure is also simple, making it easy to concoct while entertaining – there are just 5 quick steps to prepare. Whitey Bulger, one of America’s most wanted for decades was the inspiration for this Boston-born cocktail. As the city’s most notorious crime boss, his spirited 20+ year run from the law took him around the world. Borrowing from the locations of Whitey’s many known hideouts; the “WhiteTea Bulger” marries the effervescent sweetness of Italian Moinetto Prosecco and the naturally sweet and slightly malty flavors of white tea with Whitey’s hometown favorite – Irish whiskey. Together, they combine to create a delicious and easy-drinking cocktail that packs an Irish punch. – Combine sweetened white tea with Irish whiskey in ice-filled shaker. Please join Christine of The Tiny Tie Rant, Laura of LOL Beauty, Kimberlee of I Have A Degree In This!, Kristine of Beauty in NYC, and Tessa of Couture Lust for an evening of mixing, mingling and swapping with other New York City bloggers. Come sip on champagne and nibble on tasty treats all while networking and scoring great new pieces for your closet. Walk away with not only new friendships but some great new items. As bloggers we are lucky enough to receive piles upon piles of free goodies that we feel overwhelmed. This is a chance to give another blogger an opportunity to try a new product that you no longer need or have multiples of. Don’t forget to bring plenty of business cards! Upon arrival, we will be assigning you a number which will indicate when you’ll be able to browse all the items so please arrive promptly. Please bring a minimum of 4 items but a maximum of 10 since space is limited. Be generous as the number of items you bring is the number items you are permitted to take with you. Clothing, beauty and accessory items only please. We will be organizing all the items into those separate categories for you to shop. Please bring new or very gently used items that might not fit anymore. No undergarments or stained items. No used mascaras, lipsticks or eyeliners. Only bring these items if they are unopened. Please bring beauty items that you have only used for swatching purposes. You can bring gently used eye shadows, foundations, blushes, primers, etc. No half used shampoo products that you want to get rid of. Any items you do not swap, you must take with you at the end of the event. Goodwill be in attendance to take any items you do not swap. This is an opportunity to share products that maybe don’t work for your hair type or skin tone with someone who could benefit from it. Use your best judgement when bringing items. We look forward to having a great event! It’s Friday, not Thursday. Awkward & Awesome is posted on Thursdays. I was too busy yesterday to blog and I cannot let another week pass without filling you lovelies in on the awkward and awesome. So my breaking tradition = awkward, but not unprecedented (yes, I’ve done this before). My first VoxBox from Influenster came today! Influenster is an online community where trendsetters can provide feedback on products. This should get filed under awesome – I’m so excited to be part of this program and share product reviews with you! 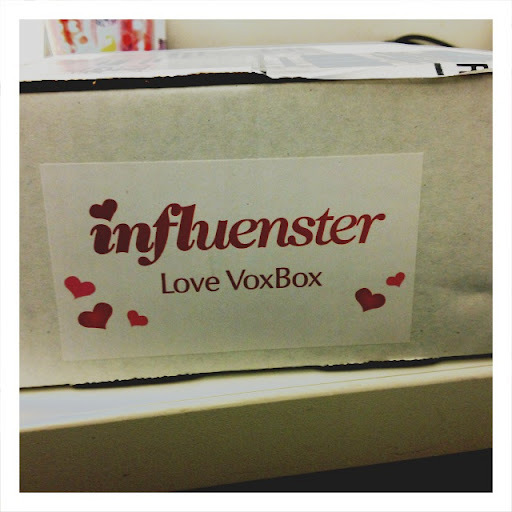 But the theme of the box is Love, so the side has a bright pink sticker that says “Love VoxBox.” It’s just sitting pretty on my desk in the office and people are probably wondering what’s in the love box. I assure you it’s nothing naughtyJ. I woke up late for work this morning. Like SUPER late. I then proceeded to spend 15 minutes looking for my “Go The Extra Mile” Kate Spade bangle, only to find it on my desk when I got into work. Then I left my BlackBerry in a conference room for half a day. I wonder where I left my brain, because I’m pretty sure it’s not in my head. I’m staying in New York this weekend. Wahoo! I’m so happy to be here now that the weather is warming up. I’ve made a point to not make plans this weekend. I just want to wander and go to the park all day on Sunday. What are your weekend plans? I’m going to tell you all about my new blog next week. Are you excited? I am! 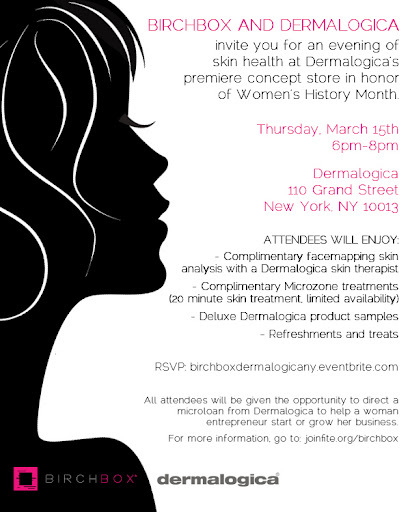 Birchbox and Dermalogica are holding an event on March 15, and it’s right near my office! They’ll be giving complimentary skin analyses and treatments, and of course samples. The only problem is that the guest list is already full, so fingers crossed that some spots open up. 1. 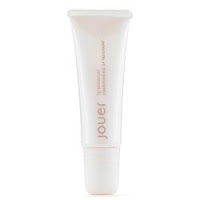 Jouer Essential Lip Enhancer – This lip conditioner is slightly tinted pink but has practically no color. Vitamin E, Shea Butter and Jojoba Oil give your lips a moisturized smooth texture that stays. 2. 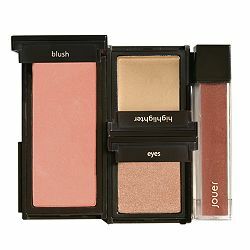 Jouer Crème Eyeshadow in Cashmere – This creamy eyeshadow instantly made it to my ‘must have’ list. Its texture is perfect for fingertip application – which is great on the run. 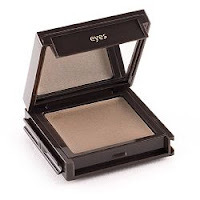 The color is slightly shimmery, and looks wonderful on its own, or as a base for a daytime smoky eye. 3. 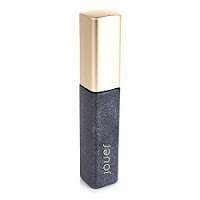 Jouer Liquid Shimmer Eyeliner in Fox – I do not wear liquid eyeliner. Let me repeat that: I.Do.Not.Wear.Liquid.Eyeliner. That said, I LOVE this product. It goes on clean and the color is a perfect charcoal tint. I’m totally making the switch from my eyepencil. The coolest thing about Jouer’s products is that the compacts snap into one another, so you can mix and match your own palette. It’s like Legos for stylish adult women! They also sell palettes already grouped together. This one is called Jouer Sunday Brunch Signature Palette, how appropriate! All in all the day was a success! Do you have any Jouer products? Which ones are your favorites? I wanted to take a quick moment to share a Birchbox event that I am attending this weekend. Birchbox and Jouer Cosmetics are joining forces for some post-holiday celebration this Saturday in Chelsea. The event promises “bubbly and treats,” accompanied by mini-makeovers and special gifts with purchase. Let me tell you, in-store events are one of my absolute favorite highlights of NYC. Sure, you can find them all over the place, but in no other city do you “stumble” upon as many, as frequently. My lust for social shopping aside, I’ve received two different Jouer samples in past monthly Birchboxes, and I loved them both! I can’t wait to go try more goodies and sip some bubbly with my friends. I hope you’ll join me! Want to know more about A Startup Store? Check out this article from DailyCandy.